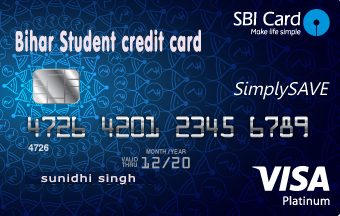 On 2nd October 2016, Bihar Chief Minister Nitish Kumar has launched the Student credit card scheme. Students who wish to further study after 12th (Intermediate) whose financial condition is not good. Then this scheme is very good opportunity for them. Now Students from the Bihar state can apply for the credit card. Online Student Credit card Apply link is not activated yet, but students can download Student Credit card form. Here on this page going to provide the direct link to download Bihar Student loan Credit card. Bihar Student credit card is much more beneficial for the students who willing to do the professional study. Students will get benefits like they do not require the guarantor for having student loan credit card. Limit of Student credit card can be used for pay fees of colleges/Institute but institute should be registered. The amount of credit card can be used for the study of any place around the nation. Students can also use student credit card for buy Laptop/books and other study material. Aadhar card is a must for the apply student credit card. More official information download Student credit card form. Apply process is given into Student credit card scheme form. more details get here. If you have any question/query regarding Bihar Student credit card 2016., then ask by ask to the comment at the space is given below.